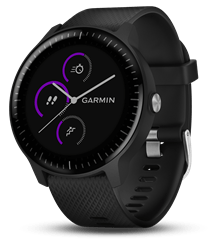 Garmin International, Inc., a unit of Garmin Ltd. (NASDAQ: GRMN), today announced the vívoactive 3 Music, a GPS smartwatch with integrated music that lets users bring along their favourite tunes to every workout or activity. Featuring Garmin PayTM contactless payments and thousands of ways to customize with free watch faces, widgets, data fields and apps through the Garmin Connect IQTM store, the vívoactive 3 Music is the perfect accessory for running errands, running a 10K, and everything in between. For decades, Garmin has pioneered new GPS navigation and wireless devices and applications that are designed for people who live an active lifestyle. Garmin serves five primary business units, including automotive, aviation, fitness, marine, and outdoor recreation. For more information, visit Garmin’s virtual pressroom at garmin.com/newsroom, or follow us at facebook.com/garmin, twitter.com/garmin, or youtube.com/garmin.